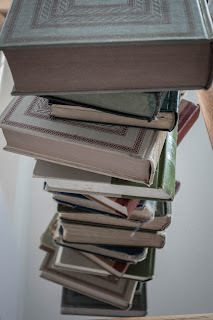 After watching Jemima Pett do it for a year or two, I decided it's time for me to jump on the bandwagon with The Bookshelf Gargoyle's Fiction in 50 challenge. That's a complete story, in exactly 50 words, written to a prompt he provides for each month. Posting is the last week of the month, and I'm targeting Mondays of the last week. This is my first attempt, so go easy on me--it's harder than it looks! Innovation can be hard on the tradition-bound. I’m really trying, though, to get used to reading the new way. My son says anyone can do it. It’s easy, he says. But it’s not easy, rapping him over the knuckles with one of the new-fangled books. My old scrolls are better. I don't often do these, because I don't like to advertise a book on here unless I've read it and know at least some of my readers may enjoy it! But I read and reviewed the preceding book in the series, The Black Thumb, and since I enjoyed it and plan to follow the series, I'll share this great deal with you all! Synopsis "You may wonder what my least-favorite student was doing in my living room. In a twist of fate that might seem hilarious if it happened to someone else, he was now my stepson." 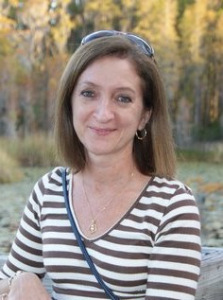 Professor Molly Barda is looking forward to a quiet summer in Mahina, Hawaii working on her research and adjusting to married life. But when a visit from her new husband's relatives coincides with a murder, Molly wonders what she's married into--and realizes she might have a killer under her roof. Alan Bradley's Flavia de Luce books remain one of my favorite series, and I particularly enjoy listening to them as read by Ms. Entwistle. Despite the age of the heroine, these are not children's books, but fully-developed mysteries for the discerning adult. Since the blurb doesn't indicate, I will note that they are set in the 1950s. In this book, I found myself not enjoying matters as much as usual, perhaps because Flavia's family situation was both dire and often ignored. It certainly lent and air of gathering doom, and perhaps this wasn't just the best time for me to be wallowing in that. Nonetheless, the mystery is unusual and well put together (though I put a few things together long before Flavia or anyone else, with my advantage of knowing that things are apt to fit together in a book just a little better than they do in real life). Chemistry didn't play as large a role in this book as in some--Flavia is an accomplished chemist (hard to say, though, if she's as accomplished as she thinks she is). I do love that she is so very unconventional in that way, and gets real pleasure and comfort from turning to her lab. This is a book where it is hard to discuss my reactions without including spoilers, so I will just say that while it was as well-written as any, I hated the ending, which, alas, I saw coming. Absolutely if you are reading the series, get this book. And if you are not reading the series, get hold of the first one (The Sweetness in the Bottom of the Pie), and start now. Read them in order, from the beginning. And if you like audio books at all, feel free to listen to them, because the recordings are good. (I notice, looking back at the first one I reviewed, which was Book 4, that I have not always been raving about the books. But as a series...yeah, I think it's fantastic, and despite the challenges this book presents, getting better). 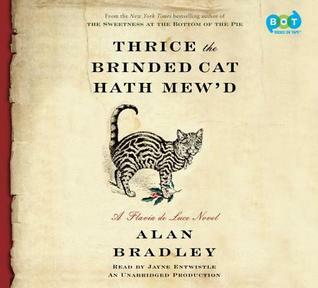 FTC Disclosure: I checked Thrice the Brinded Cat Hath Mew'd out of my library, and received nothing from the writer or publisher for my honest review. The opinions expressed are my own and those of no one else. I am disclosing this in accordance with the Federal Trade Commission's 16 CFR, Part 255: "Guides Concerning the Use of Endorsements and Testimonials in Advertising." Chuck Wendig's clearly feeling a bit down. After last week's apocalypse challenge, this week we were to write our greatest fear. I've already done that once, so I put my tongue in my cheek for 998 words of the greatest terror of my kids' generation. Our nightmare began at 7:52 p.m. I know that because the time kept blinking from my useless phone, a vicious reminder of what had been lost between one minute and the next. At 7:51 we were all safe and content in our own worlds, chatting with friends in distant cities, reading newspapers from around the world. And at 7:52 it was all gone as though it had never been. Our Internet service had crashed. When we recovered from our initial shock, we slunk into the kitchen, avoiding each others’ eyes as we fumbled with unfamiliar foods, unable to look up cooking instructions on line. Dinner was an awkward meal with each person staring fixedly at a screen, willing it to come back to life. "How can you even know you’ve eaten?" Josh’s words were spoken utterly without irony. I was deeply uneasy myself, though not troubled by that particular loss. 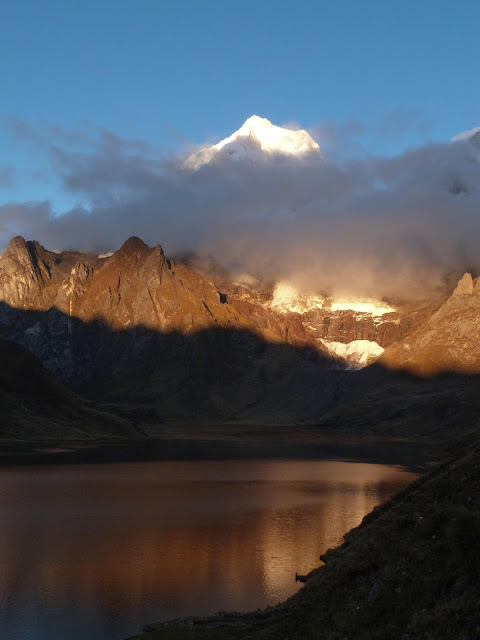 As I contemplated the time before us, I felt a darkness in front of my eyes. Was I passing out? Dying, even? We none of us knew what might become of us without the constant life-giving input from the Internet. I realized suddenly that the darkness was external. I wasn't dying. It was just that without a glowing screen there wasn’t much light. It was night, and the night was, in fact, dark. The others were beginning to shift uncomfortably and I could tell that everyone was hovering at the brink of panic. For a moment I didn't know what to do. Then some deep memory kicked in and I stood up. Groping along the wall in the gloom, I found the switch and flipped it up. Light filled the room. We all relaxed for a minute before we realized that the light carried with it no images besides those of ourselves. Let me repeat: we had nothing to look at but each other. "It wouldn't be so bad if we had a cat," Michelle said. I knew what she meant. If you couldn't have cat videos then an actual cat was the next best thing. "If we had a cat," Mom's voice was sarcastic, and I didn't need any emoticons to tell me so, "If you had a cat it would have starved to death while you watched other people's cats on line." Well. I ask you: was that a nice thing to say when we were all totally freaked out? But that's Mom. I wouldn't even put it past her to have caused the outage. She likes to make points like that. "Anyway," Mom went on, "we may not get Internet back for a few days. So you might want to think about how to entertain yourselves.” Then she went to her favorite chair, took up a book—an actual book made out of paper!—and began reading. We four looked at each other. I shrugged. “I guess we could read, too.” I flicked my phone back to life, and went to open a book I’d bought a year ago. No Service. You must be connected to the internet to access Cloud storage. I stared blankly, then began frantically flipping through a series of screens. Without an internet connection or phone service, which seemed to have vanished along with the internet, I couldn’t access anything. The others were in the same boat. I considered Josh and the girls. These were my sisters, and a favorite cousin, and I had some dim memory that once we had known how to play together. “You cheated, Michelle,” Josh said suddenly. “I remember that.” He was the youngest of us, and the girls used to bully him a bit, before they found that the Internet offered a great deal more scope for snark. I chose a game. It had a lot of bright colors, and seemed as close as I could find to the games we all played on our phones, where things in primary colors flew around and sparkled and stuff. Well, all of us but Josh. His games were usually camo-colored and blew things up. He eyed the game board dubiously, but went along when I encouraged them all to it a try. It seemed to go well enough, until Analise started to win. Then Josh, looking around for something he could blow up and regain the lead, realized that there was nothing like that in this game. The pieces just sat where they were put. I tried to calm them, but I couldn’t remember how. It might have been okay if I could have texted them, but that wasn’t an option. In the end, Mom had to dump a bucket of cold water over Josh, and another over Analise, before they would stop fighting. Then she made us all mop up the mess, and yelled at us, a lot of stuff about getting along and pulling our heads out of our devices and learning to work together. Really, Mom ought to learn to Tweet. We might have been able to listen to 140 characters. 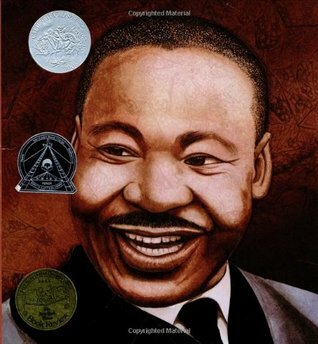 Today is Martin Luther King, Jr. Day, and in honor of the day I decided to look over and review some children's books on his life. I won't claim that these are the best, or even very carefully selected. I did what most kids or parents would do: went to the children's biographies section of the library and picked out the most promising-looking books of what was there (I'm sure there are others that were checked out). I got three rather different books. Here are my thoughts, in brief, on each. Title: Free At Last: The Story of Martin Luther King, Jr. Publisher: DK Publishing, 2009. 47 pages. This is a fairly conventional biography, at about a 3rd grade (8-year-old) reading level. It has sidebars with information about things mentioned in the main text, from slavery to the invention of television, and ample illustrations to engage less-adept readers. The biography is well-written, and includes the more challenging parts, like Martin's inability to keep the protests from breaking into violence at times, and his own sense of frustration. We see the conflict that divided him from President Johnson over the Vietnam war, and of course read about his assassination. The information is, as far as I can tell, accurate if a bit sanitized. Publisher: Hyperion Books for Children, 2001. Unpaginated picture book. This is a book for younger children, with a nice twist. 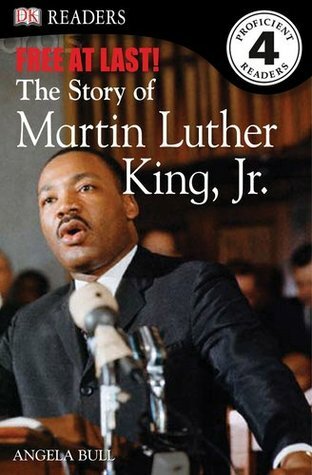 In addition to the simple text summarizing the highlights of King's life, each page includes a quote from his speeches, Martin's "big words." These are chosen to be understood by children, but have a lot of power in the context; the author has chosen carefully and well. Bryan Collier illustrated the book with strong images that are a mix of collage and watercolor. All together, this is a beautiful book that is a good introduction to the man and his cause, suitable for children of all ages. Publisher: Alfred A. Knopf, 2008. Unpaginated picture book. This book takes a little different approach. It begins with the boy Martin, growing up with prejudice and Jim Crow laws, and the efforts of his parents to comfort him about it, and tracks him through the 1955-56 bus boycott, to 1965 when he called for "all of God's children" to join in the march from Selma to Montgomery. At this point, the story switches to Warsaw, Poland, well before WWII, and a young Jewish boy named Abraham Heschel. The author deftly uses parallels (even the exact same words) as Abraham also deals with unreasoning prejudice and laws limiting his freedoms. Heschel immigrated to the US at the start of the war, and was doing his own marching for justice when Martin put out his call. 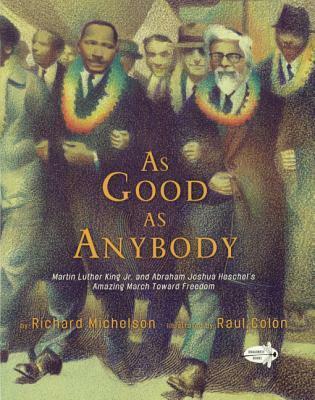 The book gives us a beautiful image of the two meeting, becoming friends, and marching side by side, at the head of what became 25,000 people on that march. A final page of the book offers a more prosy summation of the key events that followed, through Martin's death to Abraham's. In many ways, though there are fewer facts and details, I thought this was the best of the three books. The illustrations are good, though not as much to my taste as Collier's (above). But it's the story that did it for me, the reminder that injustice affects all sorts of people and that we need to stand together to fight it. It's a good book for these times. It doesn't matter what book you chose, but read up on the remarkable life, and the work he did for racial equality, voting rights, and civil rights, because it's all under threat. And it doesn't hurt to take away the message of all standing together for what we know is right. FTC Disclosure: I checked all three books out of my library, and received nothing from the writers or publishers for my honest reviews. The opinions expressed are my own and those of no one else. I am disclosing this in accordance with the Federal Trade Commission's 16 CFR, Part 255: "Guides Concerning the Use of Endorsements and Testimonials in Advertising." Chuck Wendig is finally back on the job with our weekly challenges, and for reasons that don't take a lot of parsing, our challenge this week was to write an apocalypse. We weren't supposed to do the usual apocalypse, though, but instead to come up with a whole new sort, which I didn't really do. Instead, I picked up on something he said about writing "your uniquely-you" apocalypse, and that got me to thinking about how one person's world can end while everyone else's goes on. I was also thinking about the book I just finished about "Wicked Women" of the frontier, and got some ideas going in my head. So you don't really get a story about an apocalypse, just one human's personal end of the world, in right about 1000 words. I read the book of Revelation when I was a little girl, and found there a story of how the end of the world that turned out to be rubbish. Well, I don't actually know that. It’s just that we don’t get to see THE WORLD end very often. But I know that worlds end every day. What matters is what happens next. My world ended on a March afternoon on a pass in the Rocky Mountains, standing in the snow next to what was left of a train. An avalanche had come down and caught the tail end of our train, putting a halt to forward progress for the time being, as everyone gawked over the edge of a cliff . “It’s not so bad. 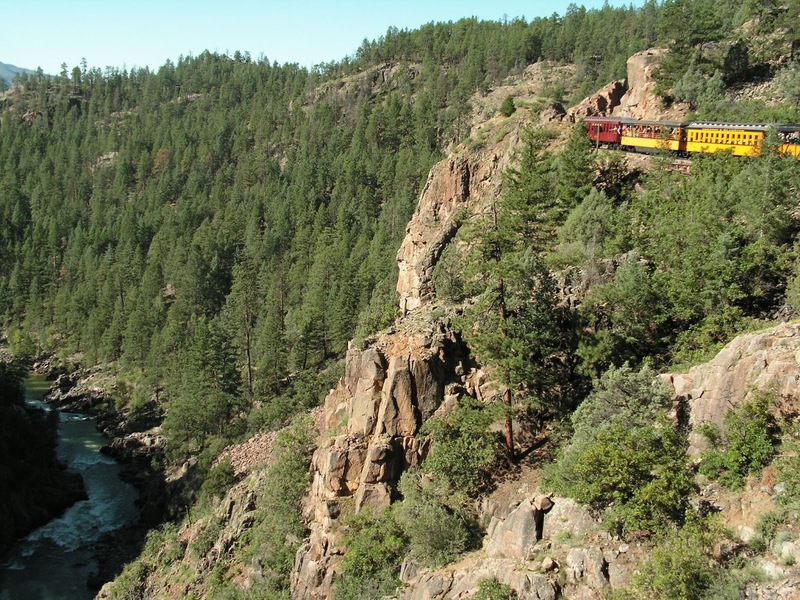 Just the caboose and one car,” the conductor said. "Not the end of the world." 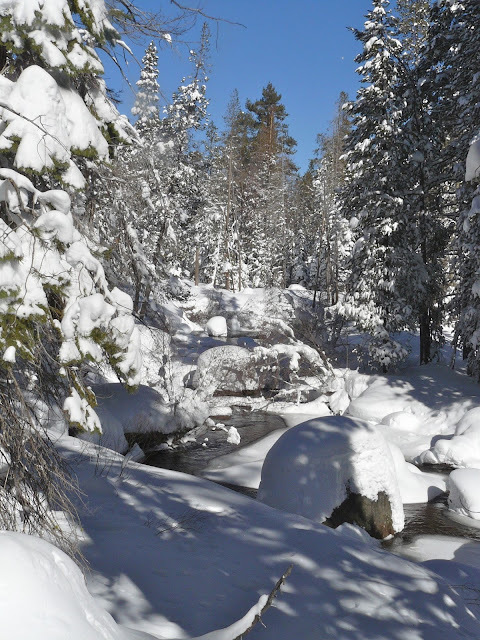 “It sounded like the end of the world when that snow came down, but I reckon you're right. Joe wasn’t in the caboose,” the fireman answered, and they walked off. It wasn’t much to them. But that car had been carrying passengers, the ones with cheap tickets. It had gone over the cliff under a load of snow, and I wasn’t fool enough to think anyone in it would be dug out alive, if they were dug out at all. But I wanted to run down there anyway, because that car had held my world: my family. That one car lost was the end of the world, as far as I was concerned. I wasn’t dead because I was always wandering off when I shouldn’t, as Ma would say. Only, this time, I guess it was good that I did, though just then I wished I’d died when the world ended. But I’d been off in the observation car with the friends I’d made in my wanderings. I wasn’t supposed to be there, but Belle and Suzy were bent on showing me the sights. I guess they hadn’t had a youngster to play with for a long time, and we were having a good time admiring the new snow, when we got knocked down by a sudden stop. I don’t think I understood how completely my world had ended until the rescue train came. That was when the railroad people discovered that I was supposed to have been in the car that was lost, and that now I was an orphan. I probably wasn’t supposed to hear their discussion of what to do with me. “Some like 'em that way.” The men shrugged and moved off, leaving me shaking with cold, fear, and fury. I wasn’t stupid. I’d learned a lot from Belle and Suzy on the long train trip, and I knew what they did for a living. I remembered Belle telling me, “The ones with weird tastes, those are the ones to watch out for. Me and Suzy, we’ve learned. We won’t do any of that. It just leads to a heap of hurting.” I was pretty sure that a skinny 12-year-old would be in for a heap of hurting in their business. So before I even got on that train, I vowed that whatever I did, I wouldn’t go to Kate. I’d find my own way. I started by insisting that they not put me off the train in that tiny mountain town. Our tickets had been through to San Francisco, and I wouldn’t take no for an answer. Then I said that the railroad owed me for the luggage I’d lost. I got lucky there. The storm that ruined our train trapped everyone in town for a week. The one hotel wasn’t big enough to give me a room of my own, and since I wouldn’t let them send me to the “boarding house” with Belle and Suzy, the railroad folks found a couple from the train to take me in. The luck came when I found out that Mr. Carlyle was a lawyer. He had his own grudge against the railroads, though I never found out what it was, and he said he liked a challenge. So he set to work on my case, and he didn’t drop it or me when we got to the coast. I went on staying with him and his wife while he fought the railroad, and got me a nice cash settlement, not just for my baggage, which was all I’d thought about, but for the loss of my family. I didn’t think the weather was the railroad’s fault, but Mr. Carlyle said that the pass was known to be unsafe in winter, so it was a matter of poor judgment to have sent the train over it in a snowstorm, and he made the case that they did it to save the cost of delays, and for a wonder the judge agreed. With the winnings, I set myself up in business. That wasn’t easy to do, being female and young, but I was stubborn. I also let Mr. Carlyle help me. He was male and old—fifty, at least—and it wasn’t so hard for him. Never mind what business; it was profitable and I was good at it. 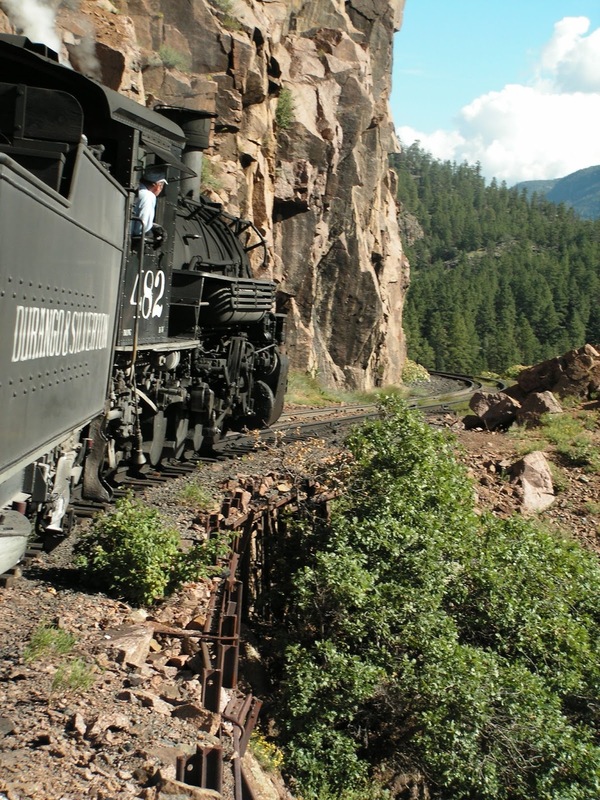 By the time I was 16, I was had built a new world from the remains of the one that ended on Rollins Pass. I’d grown and filled out, and I could pass for 21, which let me take control of my empire when Mr. Carlyle died that winter. I promised to take care of his widow, and I did, even after the world ended again. It wasn’t just my world that ended that April. The flames that ate San Francisco after the earthquake devoured my business and my home, and sent me to a tent in Golden Gate Park with Mrs. Carlyle in tow. Plenty of people thought it was the end of the world, but I knew better. Worlds never end, not really. And this time I knew how to rebuild. I'm sorry I have no photos of a train in the snowy mountains. But here are a couple of a mountain train ride, followed by some nice snowy terrain! Publisher: TwoDot (Rowman & Littlefield), 2015. 209 pages. Source: I purchased this book at the Maturango Museum in Ridgecrest, CA. 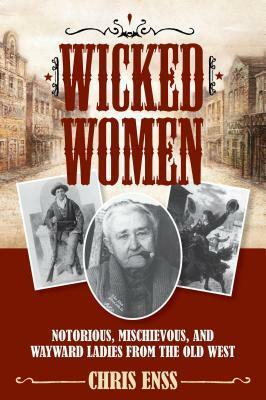 This collection of short, action-filled stories of the Old West's most egregiously badly behaved female outlaws, gamblers, soiled doves, and other wicked women by award-winning Western history author Chris Enss offers a glimpse into Western Women's experience that's less sunbonnets and more six-shooters. During the late nineteenth century, while men were settling the new frontier and rushing off to the latest boom towns, women of easy virtue found wicked lives west of the Mississippi when they followed fortune hunters seeking gold and land in an unsettled territory. Prostitutes and female gamblers hoped to capitalize on the vices of the intrepid pioneers. Pulling together stories of ladies caught in the acts of mayhem, distraction, murder, and highway robbery, it will include famous names like Belle Starr and Big Nose Kate, as well as lesser known characters." I'm always hunting up books like this in the little museums and park bookstores around the West. I like to get insights into what the time and place was really like (as opposed to the permanent imprint left on my impressionable adolescent brain by Louis L'Amour) by reading journals and other accounts of real lives of the times. In this book, Chris Enss uses a touch of imagination at the beginnings of most of the biographies, in an effort to paint the picture more clearly. She backs up the brief scenes with plenty of research, however, so I forgive her the literary license. The women profiled are mostly prostitutes, so this is definitely not a book for young readers. Enss uses the expression from the period, and generally refers to the women as "soiled doves," though she is clear about what they are doing. I'm not sure how I feel about that euphemism; it does seem to contain a number of judgements, though for the most part there is no moral overlay on the book. In any case, the women's lives are interesting, and the research into the conditions that drove, or led, them into prostitution, gambling, and in a few cases outright outlawry are telling. Far too many of these stories contain the line "unable to find any other way to support herself..." That is an indictment of society that may still be too true today for some. What I found most interesting were not the women who regretted their careers, but the ones who went into it with a clear and cold business sense. Many of the women portrayed were madams, and many made a lot of money running multiple brothels--maybe the one business women were allowed to run in the 19th Century, and the success many of them made of it suggests that they would have done even better if allowed to run legitimate businesses. Sadly, many of the women lost everything in the end, usually because they lost their hearts to the kind of men who frequented brothels and gambling dens. It did get painful to read that, time after time. The main variation was that they lost everything because the law shut them down, penalizing the women and ignoring the men who frequented the "bawdy houses." In the end, the portraits felt a little too superficial, but I got a feel for their lives, and the bibliography provides lots of leads for further reading. I'd call it a decently done book of its sort. Interesting reading for anyone interested in the history of women in the settlement of the US west. It makes a good companion to the women's diaries and letters (usually from more typical women) of the westward expansion that I have read in other sources. FTC Disclosure: I purchased a copy of Wicked Women with my own money and of my own volition, and received nothing from the writer or publisher for my honest review. The opinions expressed are my own and those of no one else. I am disclosing this in accordance with the Federal Trade Commission's 16 CFR, Part 255: "Guides Concerning the Use of Endorsements and Testimonials in Advertising." Publisher: ABC Books, 2014. US edition by Atheneum Books for Young Readers, 2016. 261 pages. I believe I picked up this one on a recommendation from the Goodreads Great Middle Grade Reads group. I'm glad I did. The book is a sort of semi-humorous gothic mystery for kids. Which might not sound super appealing, but the book is both funny and scary (mostly in the "oh no! She's in trouble again" way), and certainly grabbed me and pulled me right along. Stella is a Victorian child, being raised by delightfully awful Aunts, who are clearly trying to mold her into something she is not (a mindless little 'perfect child'). But she has an imagination, curiosity, and a nose for trouble, as well as maybe a little something else that she doesn't know about yet. She follows her nose into a fair bit of trouble, with close escapes, two kidnappings, a couple of disguises, and the acquisition of a few friends who help her triumph in the end. There is nothing terribly deep about the book; this isn't an "issues" book. 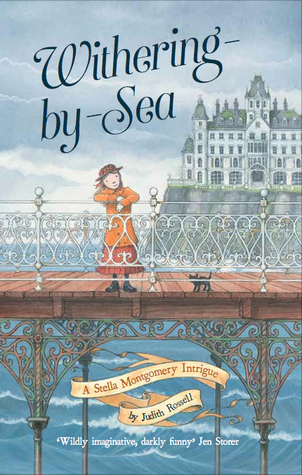 It's just a delightful romp through a not-quite-real world with a sea-side resort and a carnival on a pier. It is also almost certainly the start of something glorious, as a few questions are left unresolved at the end. I did like that the author didn't feel the need to follow Stella all the way back to her aunts; it is enough to know that she is brave enough to go back and face them after being out all night, and that she is determined to learn more about who she really is--a great mystery that the reader can guess at, but will have to wait for another book to have fully resolved. If you or your child are too easily frightened by somewhat spooky magical things, stay away. But if you like a touch of the horrible with a larger touch of humor and loyal friends, dive right in. It's a fast and easy read, but a lot of fun for anyone over the age of maybe 9 (because of the scary bits). FTC Disclosure: I checked Withering-by-Sea out of my library, and received nothing from the writer or publisher for my honest review. The opinions expressed are my own and those of no one else. I am disclosing this in accordance with the Federal Trade Commission's 16 CFR, Part 255: "Guides Concerning the Use of Endorsements and Testimonials in Advertising." I was a little late getting started on this, being still in mental vacation mode. But thanks to Jemima Pett, who has created a new writing prompts page, I pulled out a title and found a story. At just under 850 words, it's a quick Friday Distraction. It should have been an eagle, of course. Every kingdom put an eagle on their war-banners, unless they used a lion. But this was definitely a bird, so it had to be an eagle. It just didn’t look much like one. The royal banner-maker wasn’t very good at birds. The result was an error the kingdom had to live with, the king declared. He didn’t want to spend the money to have a new banner designed. King Kerwin exchanged glances with his royal advisors. “Does it matter?” he began to ask, and the chancellor of the exchequer nodded sagely. “Nonsense!” roared Lord Gryphon, who wasn’t at all timid. “Why, it might not even be a bird of prey. Those feet aren’t exactly talons.” They all, even Chuffle, had to agree about the feet. And it would never do to have anything but a bird of prey on the banner. A war-banner, even of a very small and new kingdom, had to display something fierce, real or imagined. The color of the feet suggested this might be imagined, but it wasn’t fierce enough. “What does the banner maker say it is?” Prince Janson asked in his direct way. The lords all looked at each other. “I, er, I’m sure I don’t know,” admitted King Kerwin. “Chuffle, send and find out at once.” Chuffle scuttled off. It was an unusually practical move for the king, but was, alas, to no avail. The lords all stood around staring at the banner until Chuffle returned, puffing from a race all over the castle in search of the banner maker. Men began to swarm in all directions, determined to flush out the miserable tailor, whom they now began to suspect of worse things than ornithological ignorance. In a moment, Prince Janson was left alone with the banner. The boy studied it, first from a distance and then up close. Then he took the bit of fabric, hid it under his tunic, and slipped off around the corner and down an empty hall. In the way of boys, Janson had long since found routes around the castle that avoided all the adults, especially the noble ones. In five minutes, he had made his way, unobserved, to the royal library. Prying open the heavy oak door, he slipped inside, and pulled the door shut behind him. No one would interrupt him there, since no one else seemed to use the library. He had a well-developed, and so far justified, belief that anything he wanted to know could be found in the library. This was largely the result of his father’s frequent demands that he “work it out for himself,” uttered when the king tired of the boy’s eternal “why, Papa?” That order, combined with a tendency on the part of his tutor to send him to the library to read on things—the tutor liked to sneak off with the queen’s chambermaid—meant that Janson knew most of the books in the library. He was probably the only one. He turned to consider the long shelves of books. Where would he find the answer? There. The book he wanted was in the third row on the left. Janson remembered the big, beautiful books with drawings of every animal in the kingdom and beyond. Every bird, too, which was more to the point just then. He would find their battle emblem in the section on sea birds, Janson thought. Those feet looked like water, however much some wanted to pretend they were talons, and despite Lord Chuffle’s claims about the fierceness of the beak, Janson thought it looked like some sort of duck. Something that ate fish whole, rather than tearing gobbets of flesh with a strong, hooked beak. Janson leafed through the book. There it was, as he’d thought, right next to the albatross. Too bad the banner maker hadn’t slipped and made one of them, Janson thought. But there was no denying those feet, especially with the distinctly blue cast of the thread used to embroider them. He pulled out the banner and compared it with the book, just to be sure, but there was really no doubt. No wonder the banner maker had disappeared. Janson hoped he had left with the trader caravan that morning, because Papa was going to be furious. And with good reason. What kingdom could thrive with a blue-footed booby on its war banner? I don't have any photos of the blue-footed booby, but I'll link you to one on Photoseek, the fantastic photo site of Photographer Tom Dempsey (and I'll encourage you to look around there, because he has hundreds of fantastic photos for sale). End of the year Round-up! I vowed to finish drafting Gorg's book before the end of the year, and I'm pleased to announce that I knocked out the final chapter on New Year's Eve, finishing with nearly 2 hours to spare, though of course I know very well that there will be a lot of work to be done on the MS. That will come after it sits for several months, though. 1 book edited and published (The Problem With Peggy). 1 story submitted to the IWSG contest. Add in the draft of Gorg the Troll, and it's not my best year, but not too bad, either. I certainly failed in my resolve to start submitting stories regularly for publication, but at least I did submit one. It's a resolution I'll renew, and try to use those "Flashback Friday" weeks off from writing for the blog to give me time to work on more developed shorts worthy of submission. Oh--and I read 167 out of the 155 books I aimed for in the Goodreads Challenge. About 1/2 were children's books (middle grade novels, not picture books!). I'm still not sure if this number is a good thing or a sign that I'm dodging a lot of stuff with my nose in a book (or my headphones in a book--a lot of those were audio books). Where do I go in 2017? The big project will be to get the 3rd Pismawallops PTA mystery out of the dark hole where I stuffed it a year ago when it wouldn't quite work out, and make it into a real draft, which I can then work on editing. With luck, I'll have it in shape in time to start a new project in November, since I enjoy the NaNo challenge. I'm also going to give a shot, this summer, at doing more writing while on vacation. I need to see how practical it's going to be to keep writing while we ramp up to more travel in retirement. Now for this month's question. 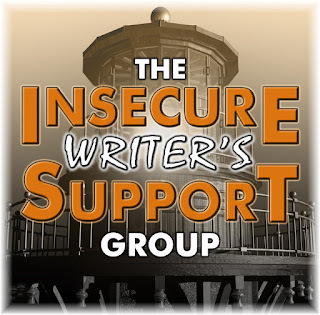 January question: What writing rule do you wish you'd never heard? The one about how if you don't write every day you must not really be a writer. Bull. If you write at all, you're a writer. If you want to make a living, working every day is essential. But if you have a life, count every word wrested from the other distractions of your life as a triumph. If you write at all, you're a writer. The more often the better, but I spent far too many years doing less writing than beating myself up over not writing. It's not helpful, and it's not productive. How about you? What were your triumphs in 2016? What do you look forward to in 2017? First the business: I was approached by the publisher with the offer to recieve an advance review copy of this book because I reviewed the first in the series, Murder Most Malicious last December, through a Great Escapes Free Tour. In neither case did I receive any payment beyond the electronic ARC. I'm scheduling this for Jan. 2, as the release date is supposed to be Jan. 1. Okay, on to the good stuff. I enjoyed the first in this series, though I had some issues with it (see review). This second book is, I think, an even stronger work. The author is working in one of my favorite times and places (England between the wars), and has done her research well. Fans of the first couple of seasons of Downton Abbey will probably enjoy this, and will be able to bring the visuals from that series to mind to add color to the setting. Ms. Maxwell has done her research, and presents the period well, and I was not struck by any anomalies or anachronisms. I noted in my review of the first book that I had some trouble with sorting out characters in the beginning and with the POV switches between Lady Phoebe and her maid, Eva. Both of those problems were gone this time (and might have been more my problem than the writer's in the first book). I had forgotten most of the details of Murder Most Malicious, but the author provides enough context that it would work to start with this one, though I always advocate reading a series in order if possible. The author focused well on a few characters, and that I think is a strength, as anyone who really matters is well-drawn, to the extent of the understanding of Phoebe and Eva (so the male leads, as it were, are a little opaque, because the girls are still trying to figure them out). The suspects are nicely developed, and get more so as Phoebe and Eva come to understand them better. It's worth a comment on the narration, which is third person limited throughout, but alternates point of view chapter by chapter between Phoebe and Eva, with occasional shifts between scenes in the same chapter. The author has handled this well, and there are cues given each time the shift takes place, to keep it clear. I enjoy seeing the different ways the two young women view other people--they are very much influenced by their stations in life, even as each tries hard to see beyond those limits. There is a very nice thread of early feminism as well. And what of the mystery? It is solid, with a number of convincing suspects and lots of secrets, lies and motives. I saw my way to a very small part of the truth early on, but missed the perp and a lot of the complexity of motives. Most of the lies and secrets tied in to the murder one way or another, but just enough didn't to keep it believable--not every lie comes from a fear of being implicated in murder. This is shaping into a strong cozy series, and anyone who enjoys the classic British country house mystery will enjoy it. Also recommended to fans of Downton Abbey, the 1920s in general, and mysteries that showcase developing relations of all sorts, not just romance (so far, the romance is pretty secondary, with signs that it will ramp up in future). 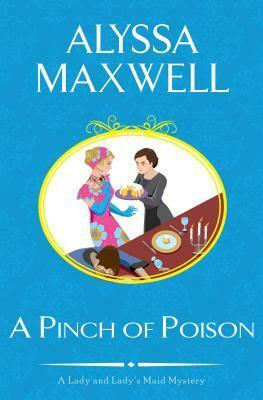 FTC Disclosure: I received an ARC of A Pinch of Poison from the publisher, and received nothing further from the writer or publisher in exchange for my honest review. The opinions expressed are my own and those of no one else. I am disclosing this in accordance with the Federal Trade Commission's 16 CFR, Part 255: "Guides Concerning the Use of Endorsements and Testimonials in Advertising." Let the sun rise on 2017. Here's to a better year, and to writing despite (thanks to Chuck Wendig for the NSFW pep talk).